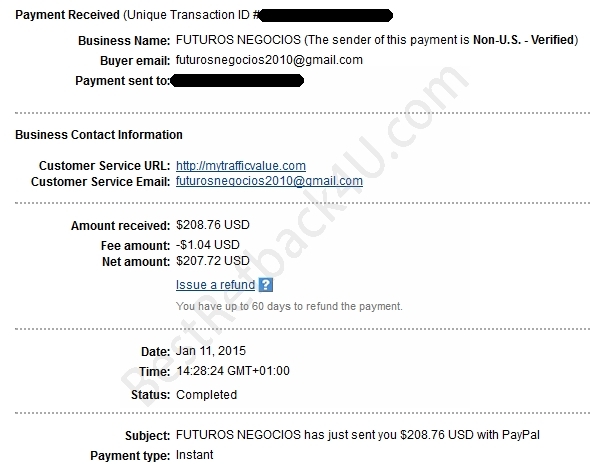 Are you looking for a legit PTC site paying for years where you will not click for cents but for whole dollars? 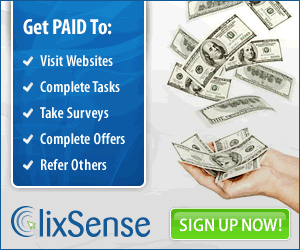 PTC site where is 1 dollar and more per click? And where you do not need to buy membership or anything else and where you do not need to refer people to get these values? You just found it! The name of the PTC site is Paidverts. And this legit site is reliably paying for over 3 years! This site has a little bit different system than other PTC sites. It has no fixed value of ads, the value is changing. You will get ads of different values every day. See ads in my account as an example. 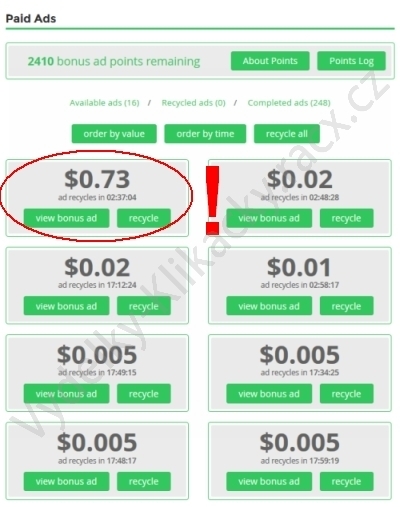 Yes, you see that correctly – I have there an ad for $0.73 dollars! The site is paying for more than 3 years already! What are the ad values dependent on? It depends on the amount of BAP you collected. BAP = Bonus Ad Points. How can I get BAP? There are ads named BAP. The value is e.g. 50 BAP or 25 BAP or 22 BAP. View these ads and you will get BAP. The more BAP you have, the higher valued ads you will get. View these BAP ads every day to collect as many BAP as possible. Why do I have only BAP ads there? The first day you will have only BAP ads. First you need to collect some BAP to be able to get some dollar ads in the next days. The second day you can already get some paid ads. When will I have ads of dollars value? It will take some time till you collect enough BAP. I got the ad of $0.73 at 4000 BAP. 4000 BAP you can collect in 20 days! 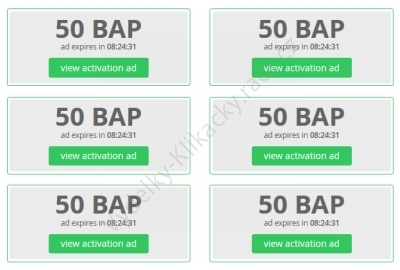 Every day you get 176 BAP in clicks + bonus 25 BAP for login = 201 BAP denně. You can get ads of $200 value which is the maximum. Update: Now ads are converted to cash very fast so most likely you will not be able to collect a higher amount of BAP. That does not matter because you earn still the same. It is about the same if the BAP are converted to ads and money today or tomorrow and all of them. Who wants to collect a higher amount of BAP (if you want those big ads) buy an adpack with BAP. Either save for it in balance or buy out-of-pocket. Set the ad filter so you get only the high valued ads and so BAP are not consumed for low valued ads. 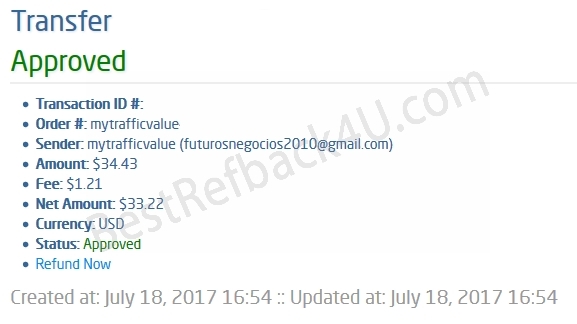 Also look at their forum to know how many ads of what values you will get every day in which group. They post information every day – you see how much it was every day (every day it is different). You can make some future projection based on that. At sign up you enter your date of birth, enter your real date or write it down. You will need it when cashing out money – it is like your secondary password which you cannot change. Click on View Paid Ads. Now you see ads, first day only for BAP. View them all. Click on View actiovation ad. View these ads daily to keep your account active. Copy the 3 texts in the rows below them. Either copy paste or click on the white list button next to each row. Click on proceed to advertisers website. Update: Captcha removed and added to the ad timer. Complete captcha, click confirm. Time will run – 30 or 15s. Confirm the view by clicking on Confirm. Now close the window by clicking on Close window. Now click on View another ad and choose another ad. View all ads the same way. Go to Buy Ads -> Bulk Ads -> Create campaign. Fill up the form – url, banner, description etc. At 8. Quantity Selection choose how many adpacks (how many BAP) you want to buy. Finish by clicking on Purchase Ads. Now you get BAP and in next days you will start getting paid ads for these BAP. You do not need to refer people buy if you want, go ahead. Where can I find my reflink and the list of my referrals? You can find your reflink and list of referrals under Refer Friends link v menu. You can find promotional banners under Marketing materials. How much do I earn from referrals? 5 % from ads and 10% from purchases. 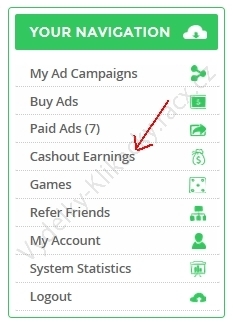 Click on Cashout Earnings in menu. Fill in the form Transfer Your ‘Earnings Balance’. Transfer from: set PV Earnings Balance. Amount = how much you want to cashout. Date of Birth: You date of birth. Set your account where you want the money to be sent. Then at the icon of your wallet (např. Perfectmoney) click on the Cashout link. Cashout minimum for SolidTrustPay is $2, Perfectmoney $1. Enter the amount you want to cash out and your date of birth. Money should come to your account in 24 hours. Paidverts supports these wallets: Perfectmoney, EgoPay, SolidTrustPay, Bitcoin, Payeer, AdvCash, Neteller, OKPay, Western Union, Bank Wire.